Now that you know the secrets of Beijing hutongs and the most impressive Chinese carmakers at the Beijing Auto Show, we go on a bit of adventure inside China. First stop is Chongqing, one of the fastest-growing cities on earth, 1.500km South West of Beijing on the Yangtze river. 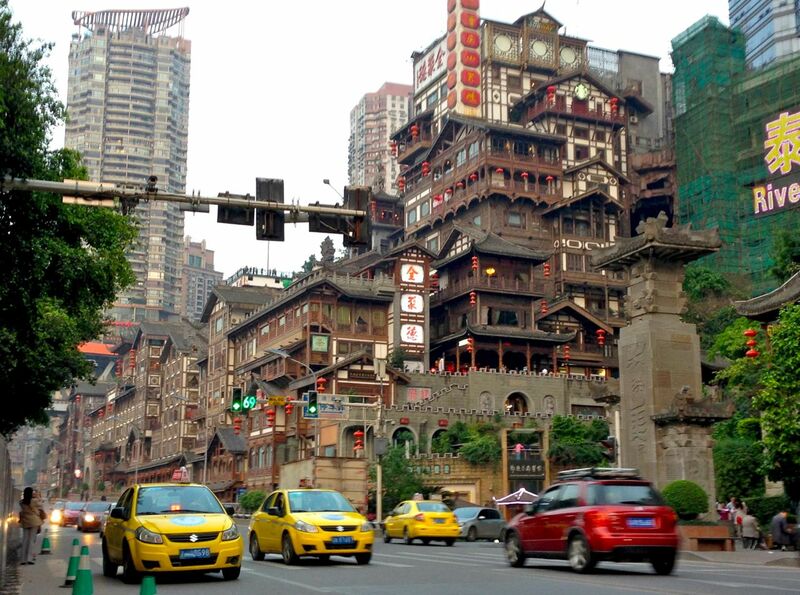 Chongqing is sometimes mistakenly referred to as the biggest city in the world with 30 million inhabitants, however this is for the entire municipality and the city of Chongqing itself has “only” 7 million. Not bad for a city that most of us (me included before organising this trip) had never heard of. 1. 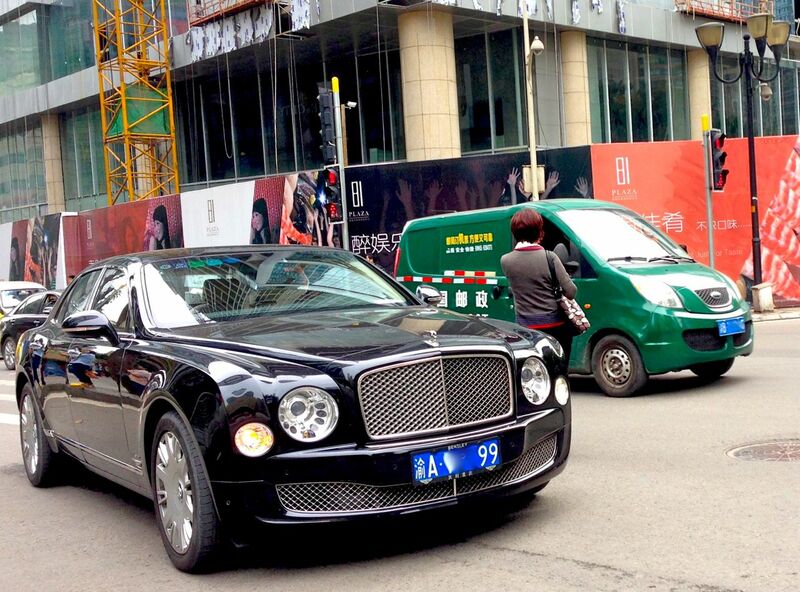 Are Chinese carmakers more successful in the Chinese hinterland? The answer is yes. As discussed in China: How local brands may finally find their mojo at home, the part of China where Chongqing is located was assumed to be a more fertile playing ground for cheaper Chinese carmakers as the average revenue is still much lower than on the Eastern Coast. 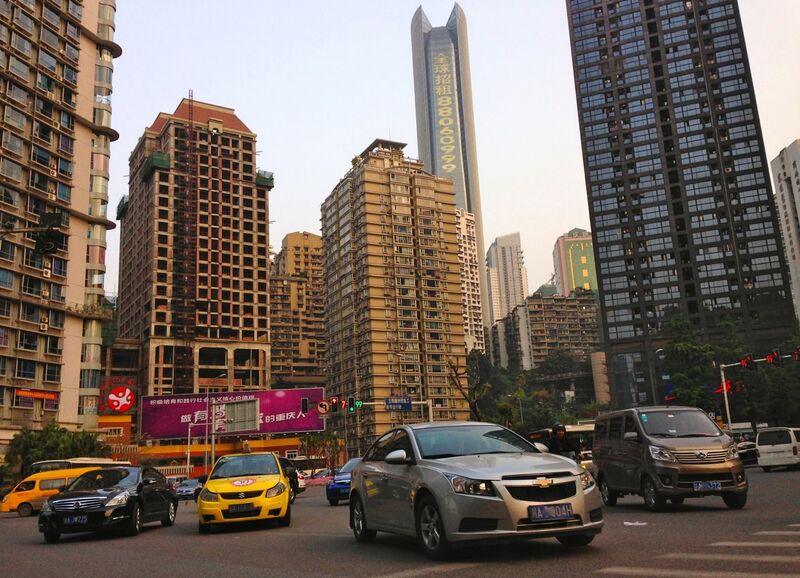 Yes the Chongqing traffic held many more locals than in Beijing where they hold a minimalistic 10-15% market share. But not that many. 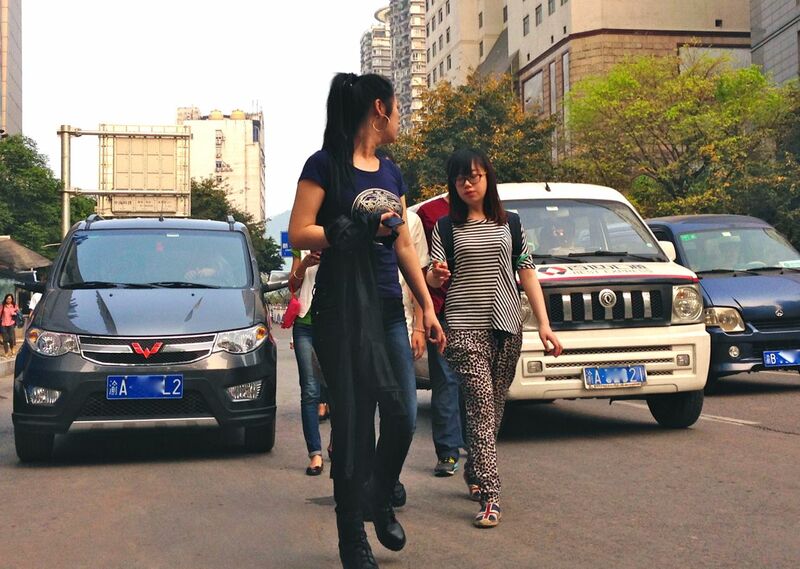 A survey of a thousand vehicles passing me by over a couple hours in Chonqing’s busiest intersections (no taxis, no buses) showed that only 1 in 3 was Chinese. This is in line with the national average, so a little disappointing. It would appear that even though the biggest cities of the Eastern Coast are the exception, that doesn’t mean Chinese carmakers actually dominate in the hinterland. And by far. 2. Is there a regional preference at play? By this I mean: do Chongqing car buyers prefer manufacturers based within the municipality, namely ChangAn and its joint-ventures with Ford, Suzuki and Mazda. The answer is yes, yes and yes. And this is a fascinating find because it sheds a massive light beam onto regional sales in the entire country (detailed sales by region are unavailable for China). ChangAn and its LCV brand Chana are absolutely everywhere as I will detail further, but also the entire Ford range, including the Focus, among the top sellers here, the new Ecosport already frequent, new Mondeo and Kuga. Virtually all taxis are Suzuki SX4 sedans and I already spotted a couple of S-Cross. This trend is a little less true for Mazda, even though in one day I spotted 3 new generation Mazda6 which are supposed to only have started production a few weeks ago – but through Mazda’s joint-venture with… FAW. Perhaps (actually almost certainly) the Chonqing car buyer doesn’t differentiate between joint-ventures as long as the brand is known to be a regional one. Based on this marked regional preference and assuming it is similar in most parts of the country, I will endeavour to create a map of China detailing which brands should be dominant where soon. 3. 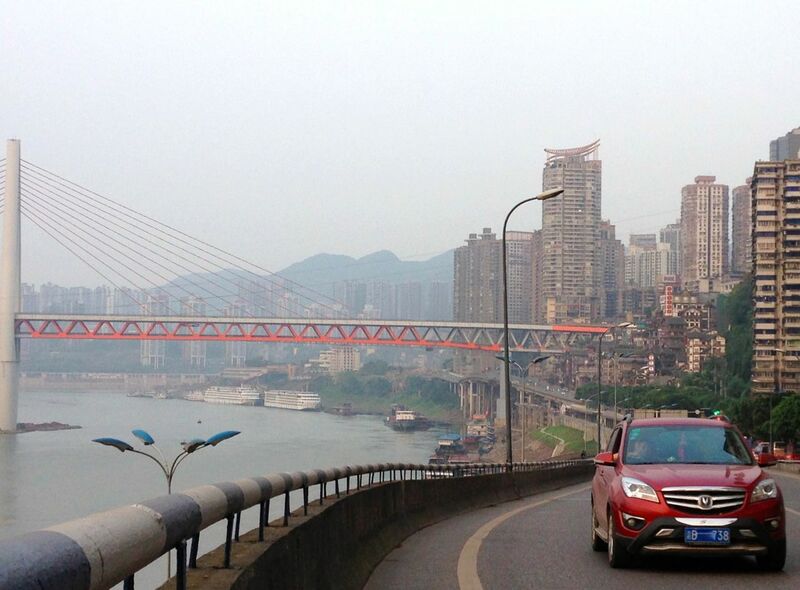 What are the most popular vehicles in Chongqing? 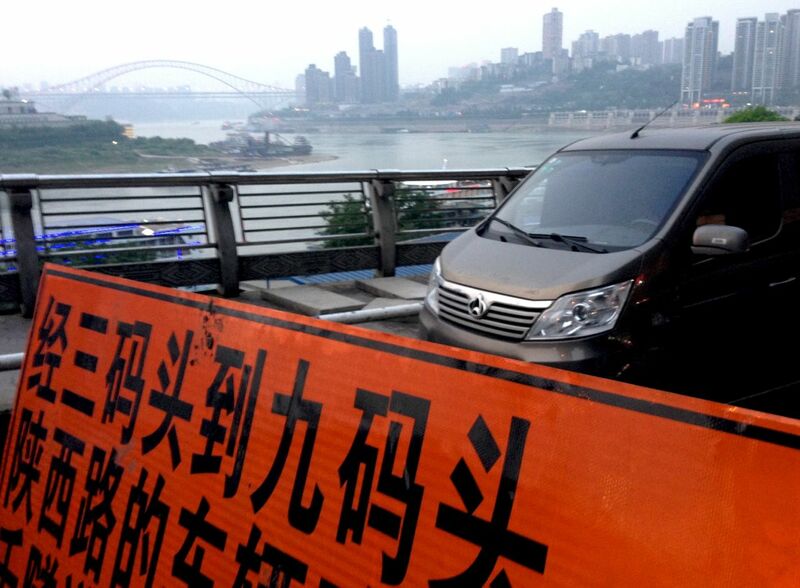 Reliable estimates are always very hard to produce based on only a few days in town, but 3 vehicles seem to stand out from the crowd in Chongqing – all minivans – in the following order: the Chana Taurustar (aka Taurus), although only launched a couple of years ago, has invested each and every tiny alley and huge motorway of Chongqing, always in the same light brown colour. I literally spotted hundreds of them in only 3 days in town. 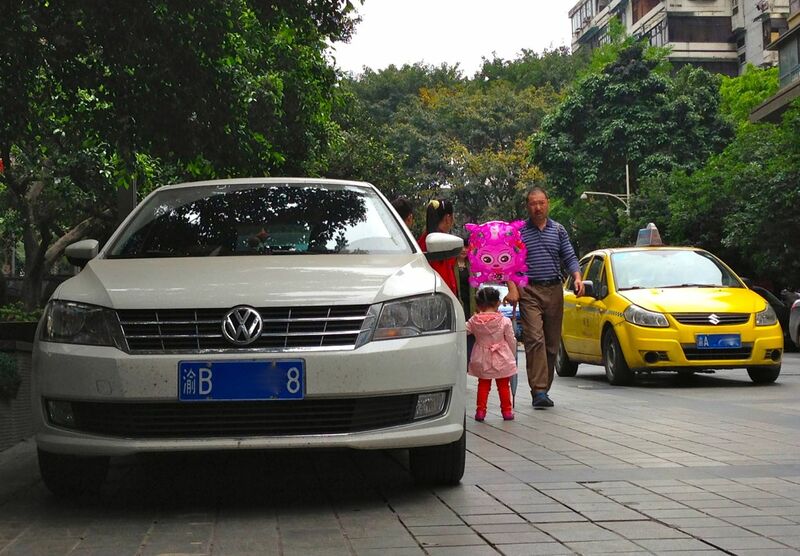 If we group all Chana minivans together like they are in Chinese LCV data, then it’s the #1 spot guaranteed in Chongqing. 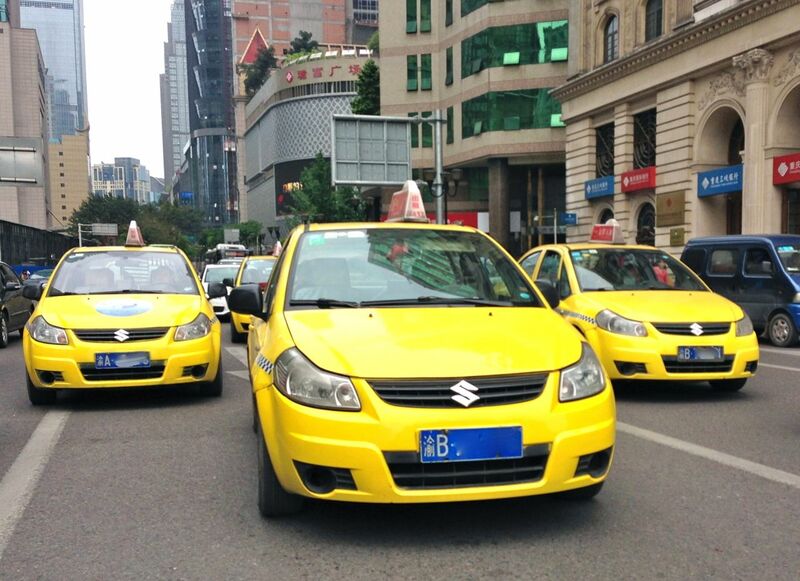 The Suzuki SX4 sedan is the taxi of choice in Chongqing. 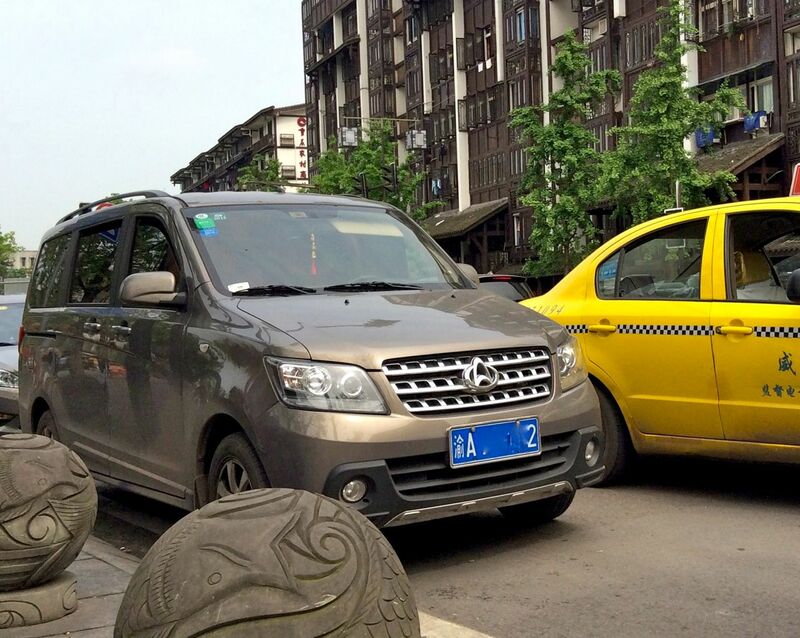 The Wuling Hongguang is another very popular vehicle in Chongqing (potentially #2), and its success here may bring some explanation to its national pole position: even in ChangAn/Chana country, the Hongguang still manages to convince buyers by the truckload. This is impressive because it comes on the back on very very few Wuling Sunshine spotted in Chonqing, even though until 2012 was the best-selling vehicle in the country. 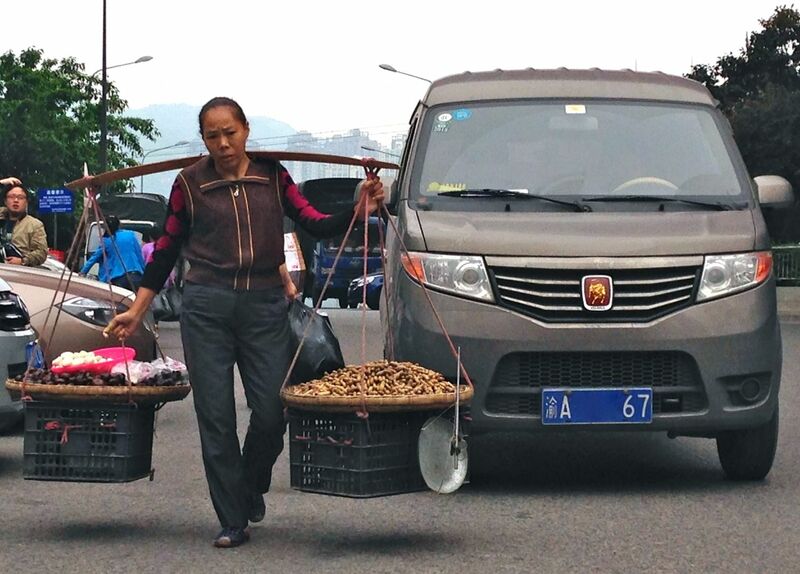 It means the Hongguang has managed to get traditional Chana minivan buyers to upgrade and change brands. This performance ‘away from home’, if repeated enough times across the country, would suffice to top the sales charts nationally. The Chana Honor broke the 20,000 monthly sales-mark China-wide for the first time last month, and based on my experience in Chongqing a lot of them are sold here! It could be rounding up the podium ‘at home’. As far as Passenger Cars are concerned, Volkswagen produces a regular flow of a variety of its models starting with the Lavida (including a few Gran Lavida spotted), Santana and Bora. The Sagitar, Passat and Jetta are much less frequent than in Beijing though. Still, the Ford Focus should lead the charge here with the new generation seemingly doing much better than the old one. One model that could also potentially beat them all is the ChangAn CS35, already extremely frequent at home even though it is only one year old, and way more successful than the Eado for example although I sighted quite a few shining-new Eado XT hatches. Apart from ChangAn/Chana and Wuling with the Hongguang, one Chinese brand that kept turning up at every corner is Great Wall with lots and lots of various generation H5, and the Steed by far the most popular large pick-up. Logically the new Haval brand is doing extremely well here as well with the H6 already well established and the H6 Sport starting to pop up here and there. 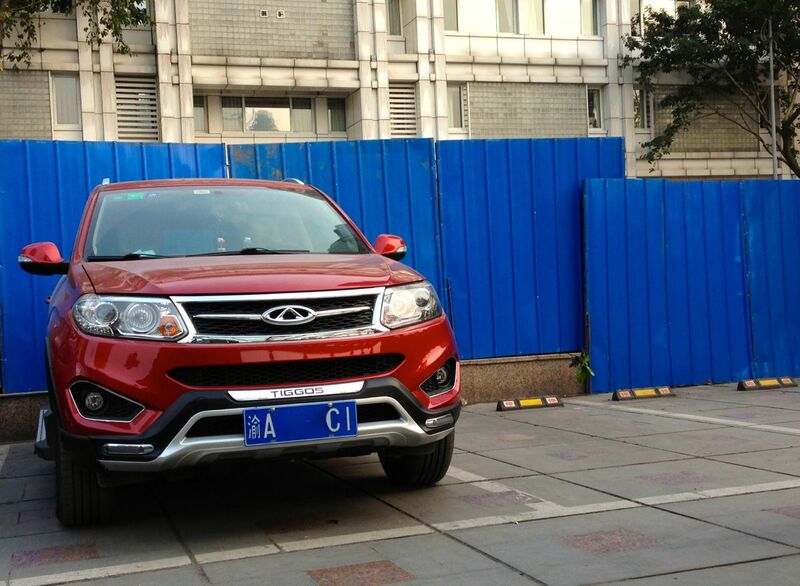 It was striking to see that many Great Wall SUVs and only a few Chery Tiggo including one Tiggo 5 (below). Other Chinese carmakers spotted more often in Chongqing than Beijing include Brilliance, MG (I saw one MG5) and BYD (quite a few F3 Surui) for Passenger Cars, while I noticed a lot of Dongfeng Succe and Great Wall V80 MPVs. The variety of minivans in town put my model recognition skills to the test! Dongfeng and Hafei are very frequent of course, Karry a little less, and I discovered Jinbei minivans with a BMW-inspired grille (pictures below the jump). Lifan turns out to also produce minivans as well as BAIC. One great aspect of the Chinese car market: you never stop learning! There were definitely more SUVs in Chongqing than there were in Beijing, with the Toyota Land Cruiser Prado a ‘macho’ favourite and the Mitsubishi Pajero Sport and VW Tiguan also appreciated. Finally, I had the honour of sighting my first two Toyota Yaris L (at the same intersection!) and first three Fiat Viaggio, all in burgundy. Full Photo Report (25 Photos) below.